Even if you’re not familiar with the name, I’m sure you’ve seen a picture of this amazing place (It wasn’t on my radar either, until I recently moved to Colorado). 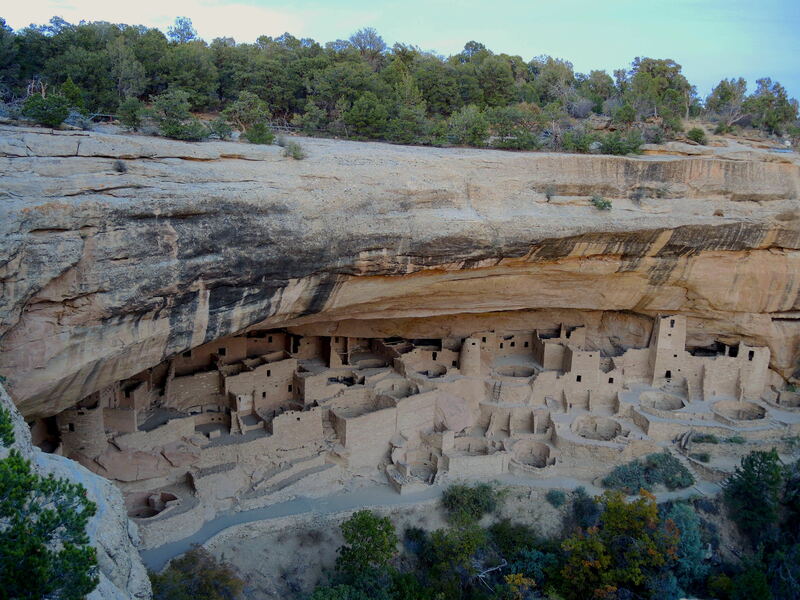 Wedged into the cliffs of Mesa Verde National Park, you will find the remains of an ancient civilization. And a very intelligent and prosperous one at that. The Ancestral Puebloans, or Anasazi, were a prehistoric group of Native Americans that thrived in the cliff shelters of Mesa Versa for 700-800 years. It’s mind boggling to try and wrap your head around that fact. These people were not only sustaining, but advancing for multiple generations while living in incredibly treacherous conditions. Possibly the most famous of the dwellings – Cliff House. Given that we visited Mesa Verde towards the end of the season, we were able avoid the tourist mobs and gaze at the site with very little distraction. Over the course of many developmental periods, the Anasazi made leaps in their architectural feats, and worked to update their home. You will notice a huge improvement as they moved away from the traditional housing (above) to the more advanced creations (below). Besides seeing the impressive architecture, Mesa Verde provided a very unique and secluded place to appreciate stunning views and powerful silence at night. the name is not familiar at all… love to see it someday. You really should. It’s one of the more interesting historical sites in the U.S.
Ahh very cool. What did you get to see? A lot of it was closed for renovation when I went unfortunately.